Samuel Prescott Phillips Fay, born June 10, 1778 in Concord, Massachusetts, receives much attention from Orlin P. Fay in his book (pages 68, 136, 137) as do some of his descendants. He was given both the maiden name of his mother Lucy Prescott, and also the maiden name of his grandmother, Joanna Phillips. He married Harriet Howard, who was born in 1782 in Cambridge. They resided in Concord; but their descendants moved outward, the earlier generations staying in Massachusetts or returning to Massachusetts. 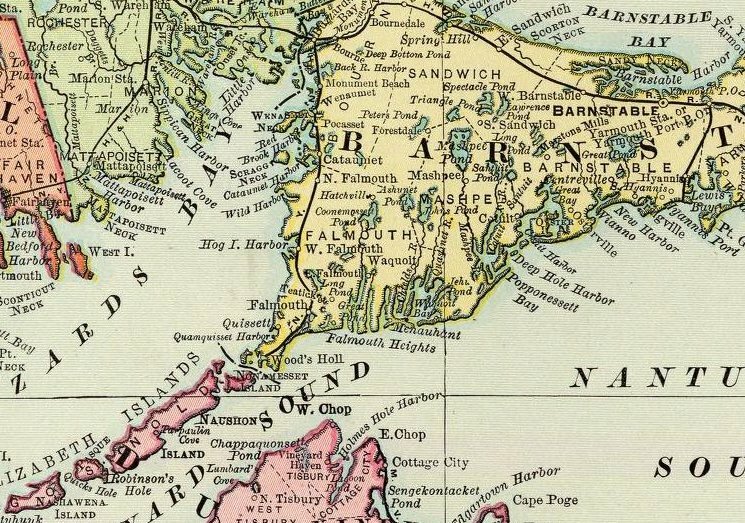 Woods Hole became a central place for these branches of the family. ..................10  Frederick Lewis Dabney, Jr.
............................ +Robert Pratt Kelsey, Jr.
.........................11  Thomas Nicolson Dabney, Jr.
..................... +Henry Thomas Ballantine, Jr.
..................10  William Jason Mixter, Jr.